I'm pretty sure this was an online only type of limited edition collection so I was lucky that there was even items i'd like still available. 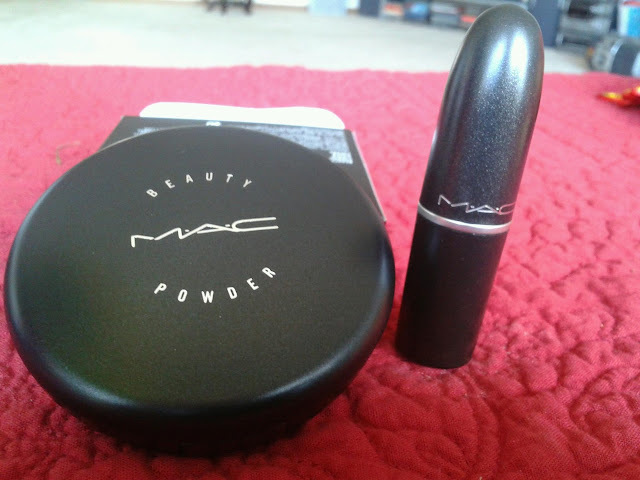 I don't wear eye shadows or anything really, so only this beauty powder in "Shell Pearl" that caught my eye (mainly because of the snake print embossed on it and being a wearable color) and the only lipstick left was this red one in "Cockney" so I had to pick that up as well. as you can see from here, no print or emboss of a snake print at all, which is kind of sad because I think it would've looked awesome, at least on the lipstick tube. 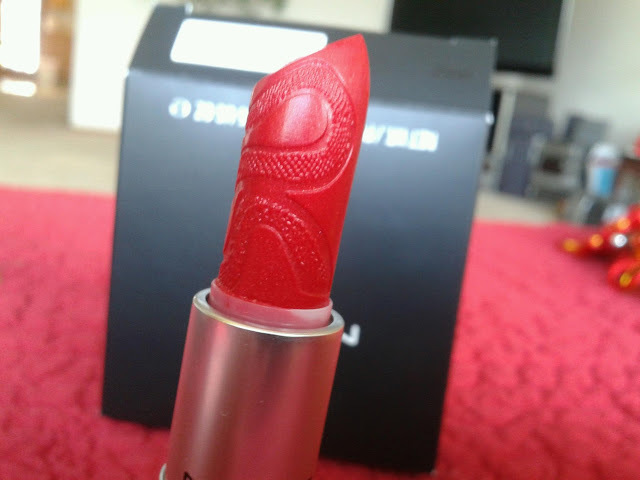 A look at the lipstick. 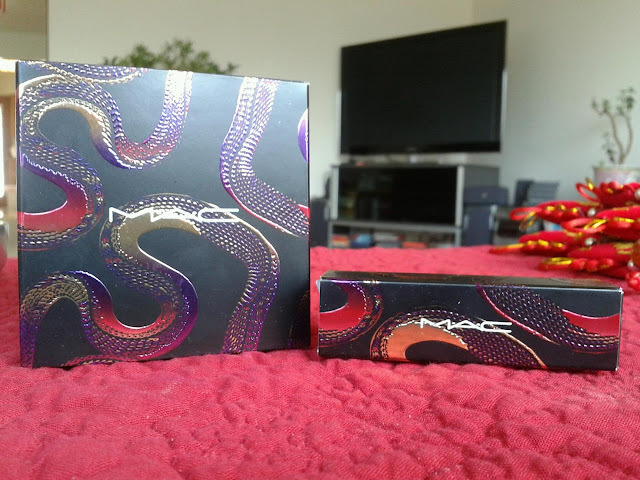 As you can see, it is embossed with the snake print which is really cool, and makes me almost not even want to use it. The color is like a bright red with shimmer and more on towards an orangey side but not too over powering. It is also a lustre finish. 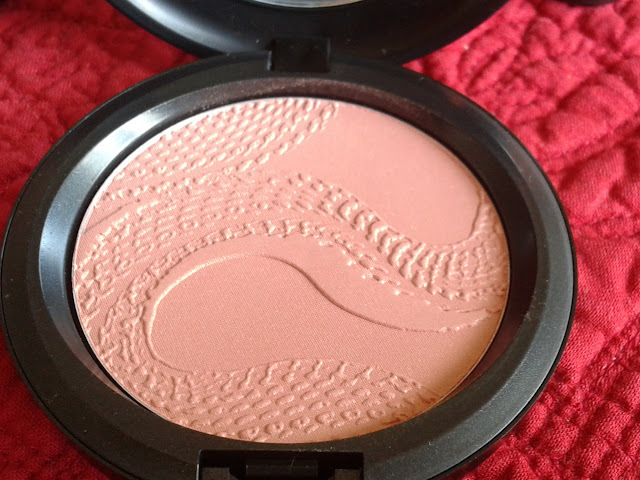 This beauty powder also has the snake print embossed on it, which is really neat and again, makes me feel like not using so it won't wear on the pattern. 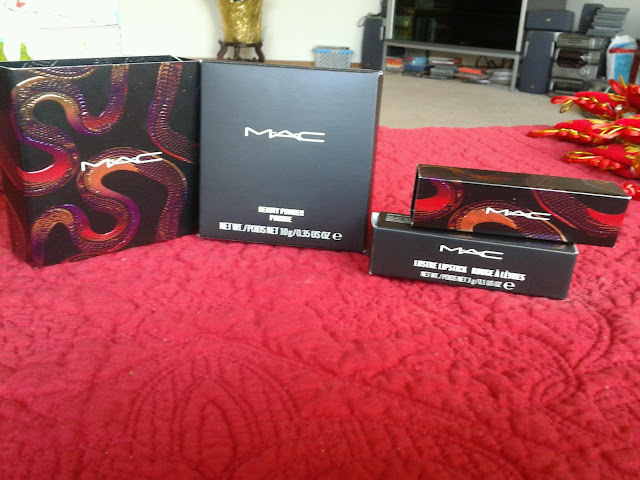 However since I don'y really use face products that often, i'll at least get to enjoy this for a little while longer. It is a very soft and light peachy pink with slight shimmer--I'd use it more as a high lighter, maybe all over sometimes but not really. 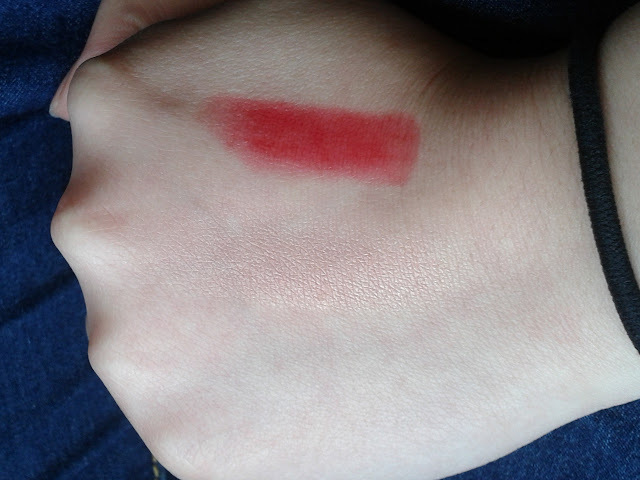 The swatches below barely show the beauty powder. I feel like I could use it all over the face before I get darker when Summer time comes. It would probably give me a nice glow. However, when I am tanner, I feel like all over may be too much and too noticeably different, so acting as a high lighter would be really nice. It may be too light for really tan and darker color skin as an all over, but I can see it being built up to use as a soft peach blush. I took the pictures in natural lighting indoors. The beauty powder was swatched more than a couple times to be even able to see it, but like I said, it would be nice as a highlighter for a subtle glow. 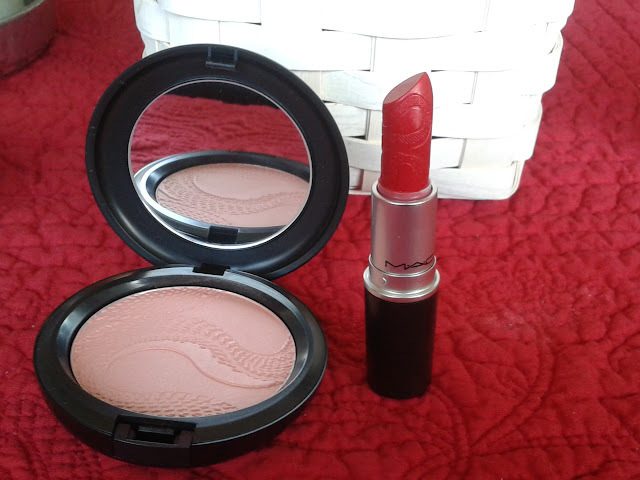 The lipstick retails at $15.00 and the beauty powder at $24. The snake print is my favorite part! Mainly why I bought it in the first place!